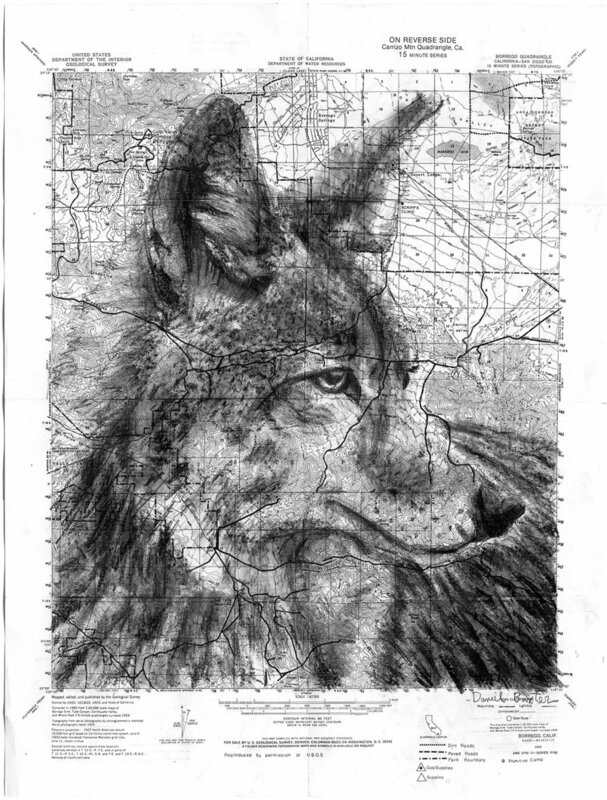 Here's a charcoal portrait, Jackrabbit, drawn on a topographic map of Rabbit Peak, California. These bouncy and beautiful creatures are part of the fabric of this desert region in southern California. Beautiful prints of this piece are available here!